We may have gotten some fun eyes-on but hands-off time with the new HP TouchPad tablet, but it seems that Vietnam is the land where people get enough hands-on time with unreleased devices that they can take them back to the office and put them in a photo box to ensure good lighting. The TouchPad got that treatment, in both video and photo form, and it’s confirmed what we pretty much already knew: the TouchPad is just about ready, at least on the hardware front. We got our first extended look at the back (bearing a sticker that indicates this is still a testing device), and it is indeed a glossy fingerprint magnet. That sticker did give us a bit of new info: the display and memory (at least in this TouchPad) were both sourced from Samsung, Cypress provided the touch panel, and the 32GB memory chip came from Sandisk. 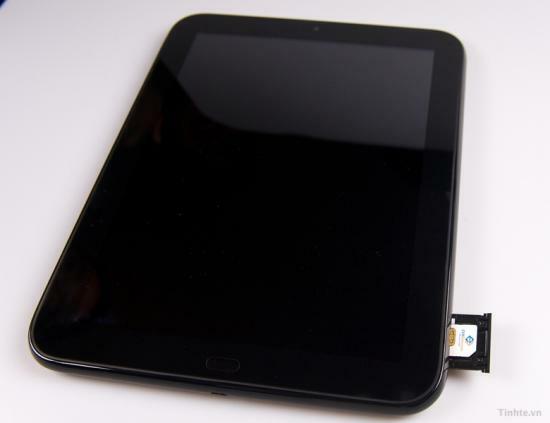 We also got our first look at the TouchPad’s SIM card slot, compete with SIM card, allaying our fears that the TouchPad might not come in a 3G version. Check out the video after the break (including a comparison to the first generation and soon-to-be-obsolete iPad), and hit the source link for more photos. Source: Tinhte.vn; Via: Engadget; Thanks to Seth for the heads up!